Every year for the past 10 years, my dear friend and I have exchanged ornaments as our own little holiday tradition. But, knowing me, these couldn’t be just any old ornaments. 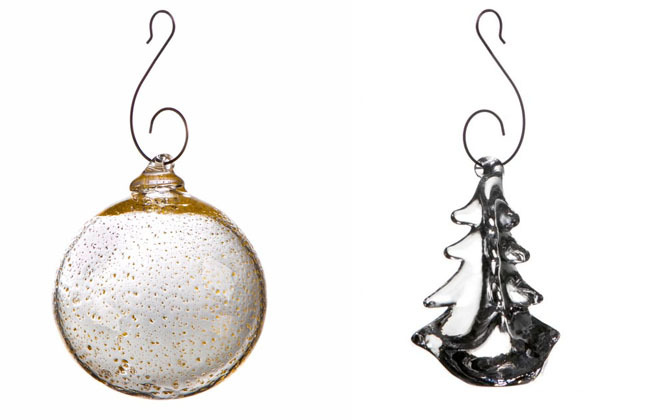 Which is why I always look to Simon Pearce, who makes beautiful hand-blown glass ornaments. 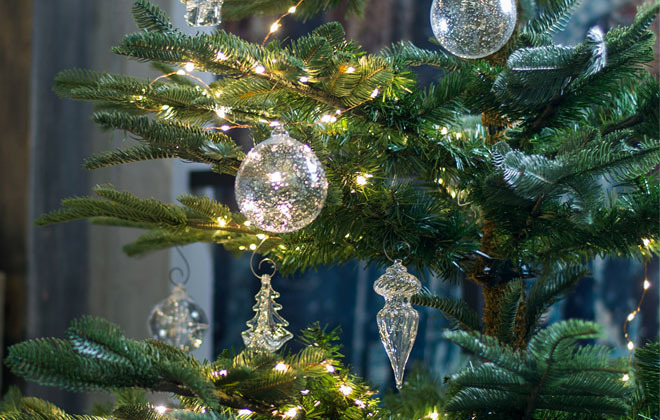 There’s nothing more lovely than seeing these delicate glass orbs reflecting the twinkling lights on your christmas tree! The 24 Karat Gold Ornament (left) and The Vermont Evergreen Ornament (right) both come in beautiful gift boxes, and are just stunning! But it wouldn’t be a truly Interior Monologue pick if there wasn’t a rich backstory. And for Simon Pearce, it starts with a boyhood in Kilkenny, Ireland – a medieval town that’s rich in history and has a long tradition in crafts. Growing up in a family of artisans, Simon was exposed from an early age to the wonder of hand-crafted goods. He began as an aprentice in his father’s ceramics studio at the age of 16, where he picked up the art of throwing and sculpting. But with great aspirations, Simon eventually went on to apprentice for master ceramicists throughout Europe, learning all that he could, before opening his first glassblowing studio inspired by the Georgian technique in his own hometown of Kilkenny in 1971. I just love this vintage shot of a young Simon Pearce at work! This studio unfortunately met its end just two years later, during the great oil embargo of ’73. But, it was perhaps a blessing in disguise for Pearce, who after seeing first hand the power fuel had over our lives, was determined to find a location for his next studio that could completely run on hydro-electric power. This was easier said than done. 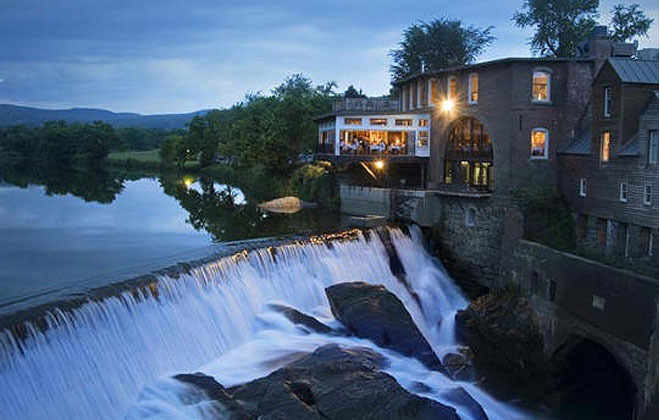 But he and his wife Pia eventually did find their ideal location in bucolic Vermont, in a 200-year-old woolen mill that is beautifully set on banks of the Ottauquechee River. 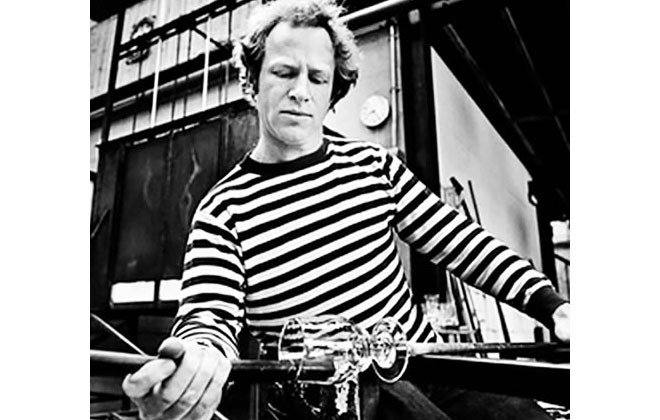 In 1981, the couple moved into the loft of the old mill, and opened the glassblowing studio that has since turned into the pinnacle of American glassblowing design. What has made Simon Pearce such a legend in the glassblowing community, is that every piece is handcrafted, using the finest natural materials in order to preserve the history of the craft within each object. These pieces are truly made to last for generations to come. And when it comes to summing up this need to preserve tradition in craft, I couldn’t put it better than Simon himself, who said “in the age of bigger, better, faster, we believe simplicity, quality, and artisanship are tenets of a better way of life.” All I can say to that is, Amen! The other wonderful thing about the design is that it is not perfectly cut crystal, it’s hand blown glass, and as the team says, “the human hand cannot do anything perfectly, and that’s the beauty of it.” The imperfections and natural lines, combined with solid design and classic shapes create a wonderfully unique, and timeless collection. One of my ornaments on my tree this year. I love it so! 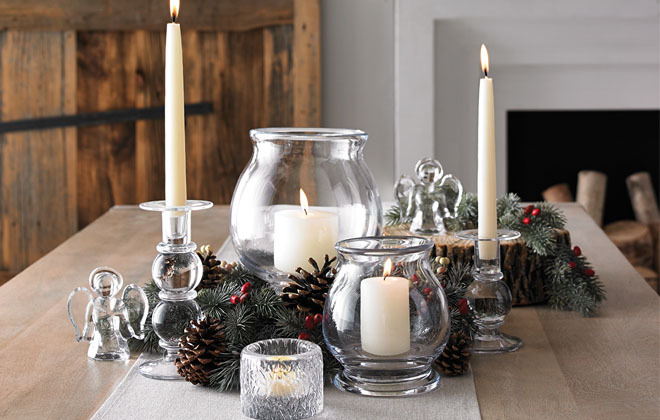 These tablewares are lovely as well, for a little extra Christmas cheer! Now, over 30 years after opening the glassblowing studio and shop on the quiet Ottauquechee River, they have continued to grown and cement their legacy in the American craft tradition. Between the beautiful location, the farm-to-table restaurant (which they’ve been running long before it was ‘chic’ to work with local farmers) and the beautiful boutique, you can also watch glass blowing demonstrations which are just breathtaking! As Pearce says, “when the glass comes out of the furnace, you can’t take your eyes off it, you’ve got one shot, that’s why people say it looks like ballet.” And that movement, almost like a choreographed dance, comes through in the fluid and natural design of all their work. 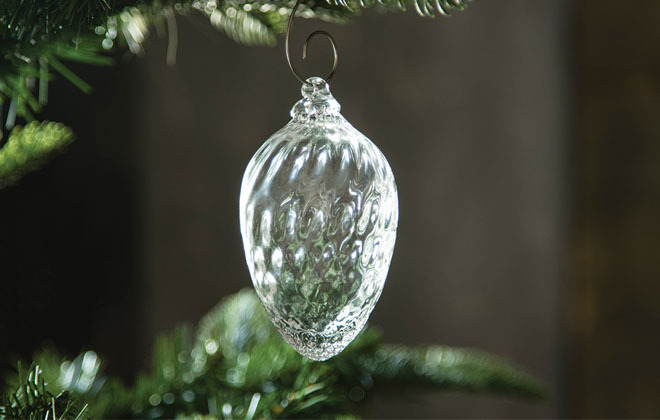 This is the most elegant glass pinecone you can find. Which brings me back to my own little tradition of exchanging Pearce ornaments! The holidays for me are not just about the gifting, or the decorations – it’s about the traditions that we pass down and create anew with friends and loved ones, year after year. 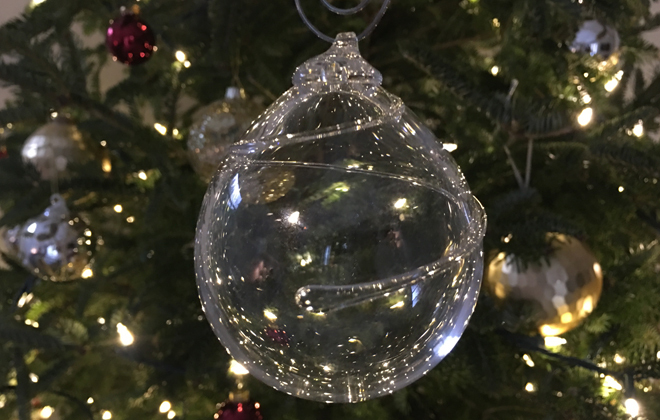 I just love that each of these beautifully hand crafted ornaments holds such a rich tradition in its craft, as well as the love and thought we instill passing them down, creating lasting stories and well-loved traditions of our own!